Yes, you read that right. If you want the easiest and fastest way to find the luxury villa that would match your requirement, whether you’ve been to the destination or not, seek for personal assistance. In the luxury villa rental industry, it is best to be speaking with a person (not some automated system). Tell them everything that you need, and let them do the research for you. Not only it will save you time and effort by browsing and searching through hundreds if not thousands of villa listings online, but you are also sure to get the best accurate result possible. If you want to know more about what type of information to give them, read my post on 10 Questions to Ask Yourself During a Search for a Holiday Luxury Villa to Rent. #1 If you are looking for a ‘luxury villa’, not just an ordinary villa, your search term on google.com should at least include the keywords Luxury, Villa, the Specific Destination, and the word Rental or Rent. An example of search terms would be ‘Luxury Villa Rental Phuket’, ‘Luxury Villas Phuket’, ‘Koh Samui Luxury Villas for Rent’ or “Caribbean Luxury Villas”. #2 Choose at least 3 to 5 websites or companies that look professional, and a website that is easy to use with as much information that you need. #3 Email them and see who’s the fastest to answer. #4 Ask questions about the local area where the villa is located. #5 Do a quick research about the profile of a person who you are corresponding with. #6 Call them to verify and to test if you will be comfortable dealing with them. #7 Tell them what exactly you require of a villa and see if they will come back to you with the right product. #8 Listen to your instinct and find out who’s genuinely building a relationship with customers rather than just going after the booking/money. Instant Booking, that normally works well with hotels, does not work the same way in the villa rental. We tried it ourselves, but only ended up to be a nightmare. Here’s one example. 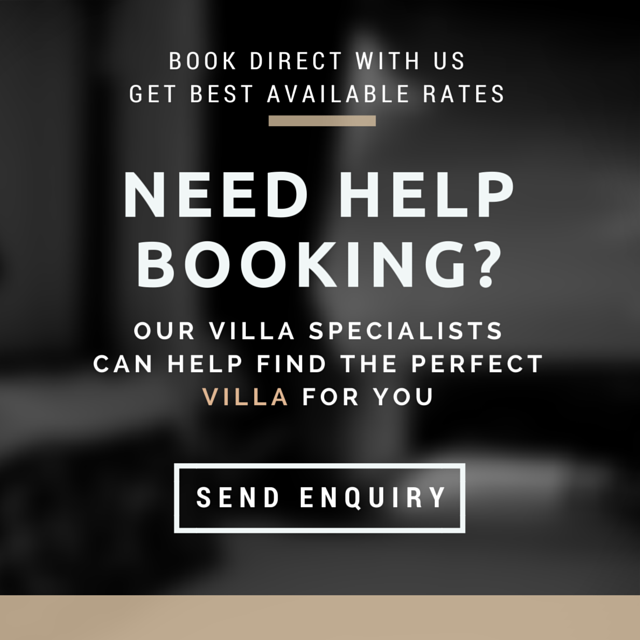 A client booked one of our luxury villas via a booking engine where they can book the villa instantly and pay via credit card, as long as it is available. The process went really fast. The client requested to book the villa, the villa was available, so we accepted the request. The client paid and confirmed the booking. We sealed the deal. Done. Then here comes our concierge asking the client about further requirements that they have before and during their stay at the villa. And so the nightmare begins. Here are some of the requests and complaints that caused some problems which could have been avoided, if it was communicated prior to confirming the booking. All of these complaints are true, except for Client #5, which I may have exaggerated a little bit. Search Engines – Some of the popular search engines you can use are Google, Yahoo, Bing, Baidu, AOL, and Ask.com. With these search engines, you can search just about anything that you want to know about a place for your travel plan including your destination, restaurants, villas, yachts, activities to do, and even people and companies. As mentioned above, you just need to have the right combination of terms or keywords and be as accurate as possible during your search. Booking Engines – If you know a website that offers or lists luxury villas for rent, you can skip the search engines and simply go directly to the website. Some of the popular websites famous for advertising luxury villas and homes or vacation rentals are Flipkey, HomeAway, TravelMob, HolidayLettings, Airbnb, and HouseTrip. All of these websites offer a filtering system to make your search easier. You can search by availability, destination, number of bedrooms, or even by pricing. BOOK DIRECT. GET BEST RATE. Be the first to receive our exclusive email updates, monthly newsletter, promotions, vacation ideas, & more. Enter your email address & click submit to subscribe.